Raymond Frenken (1977) acts as consulting editor, adviser and researcher, specifically in the arts and heritage sector. He specializes in strategic advice, fundraising, research and contextualizing of (artistic) content and programmes. His texts have been published in several books and other publications. on behalf of: Mediafonds (Dutch Cultural Media Fund), Frans Hals Museum | De Hallen Haarlem, Cobra Museum voor Moderne Kunst, de Brakke Grond, Holland Festival, Springdance Festival, Festival Cement, Festival Jonge Harten, Cinedans Festival, The Grey Space in the Middle, Witte de With, De Appel, Virtueel Platform, Stichting Behoud Moderne Kunst, ArtEZ Institute for the Arts, Sandberg Instituut, Theater Instituut Nederland, Nederlands Toneelverbond, Vereniging voor Podiumtechnologie, De Theaterschool, DasArts Master of Theatre, Dance Unlimited, Theater Frascati, Theater Kikker, Productiehuis Brabant, De Melkweg, Hetveem Theater, Kunsten ’92 and a lot of independent artists. 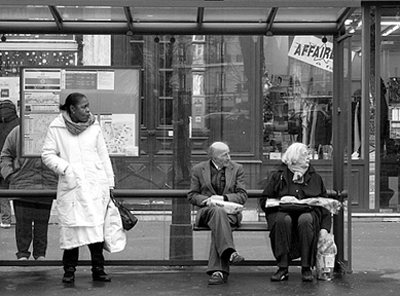 Much of life for many people, even in the heart of the First World, still consists of waiting in a bus-shelter with your shopping for a bus that never comes. Memory (...) is always telling stories to itself, filing experience in narrative form. It feeds irrelevancies to the shredder, enlarges on crucial details, makes links and patterns, finds symbols, constructs plots. In memory, the journey takes shape and grows; in the notebook it merely languishes, with the notes themselves like a pile of cigarette butts confronted the morning after a party.